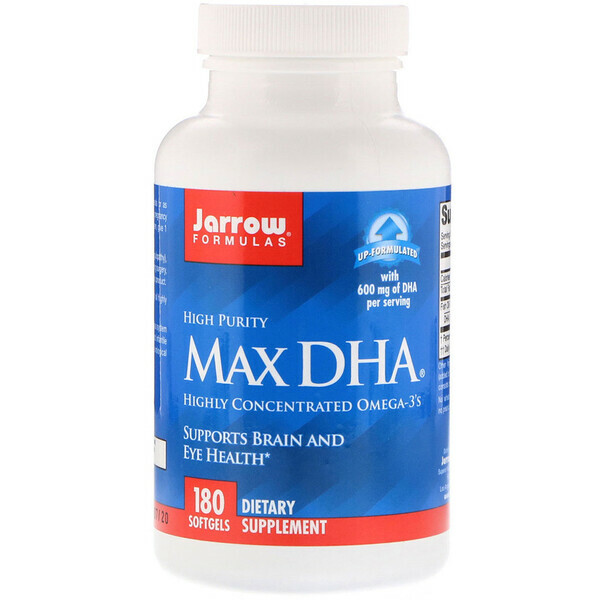 Max DHA contains Omega-3 fatty acids from fish oil highly purified and concentrated by molecular distillation. 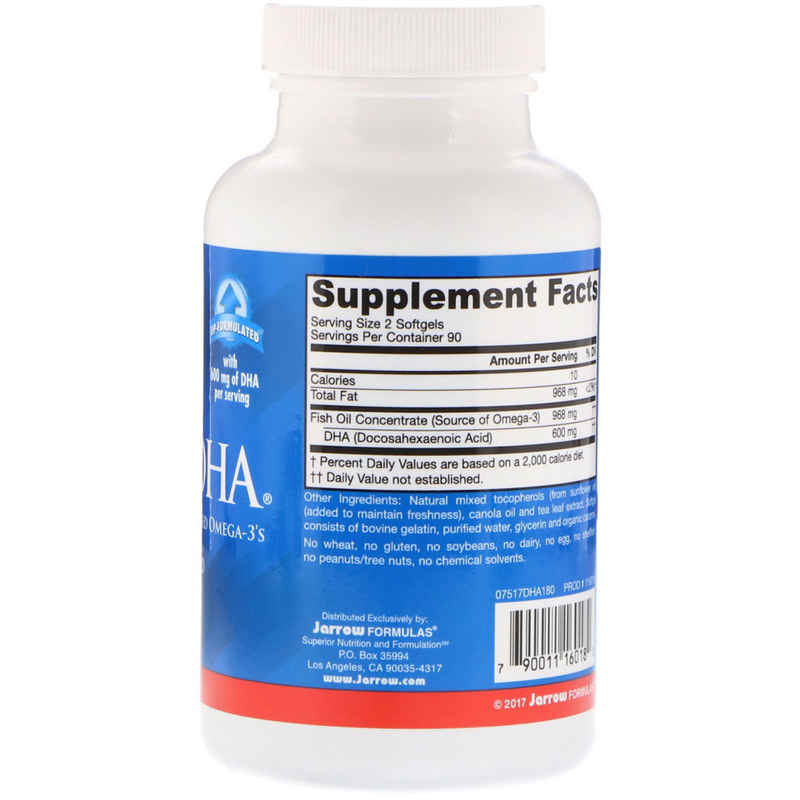 DHA is the predominant fatty acid in the brain, nervous system and retina of human. DHA is important for fetal and infantile neurological development. DHA also supports neurological function in seniors. Take 2 softgels 2 times per day with meals or as directed by your qualified healthcare professional. For pregnancy or lactation, take 1 to 2 softgels per day; for children, give 1 softgel per day. Natural mixed tocopherols (from sunflower oil), (added to maintain freshness), canola oil, and tea leaf extract. Softgel consists of bovine gelatin, purified water, glycerin and organic caramel. No wheat, no gluten, no soybeans, no dairy, no egg, no shellfish, no peanuts/tree nuts, no chemical solvents. Note: If you have a medical condition (especially coagulopathy), are taking medications (especially anticoagulants), or facing surgery, consult your healthcare professional before using this product. Keep away from light and heat.